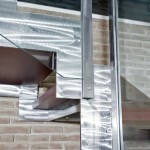 Frosted treatment applied to the structure. 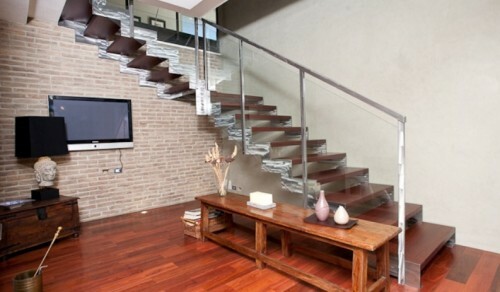 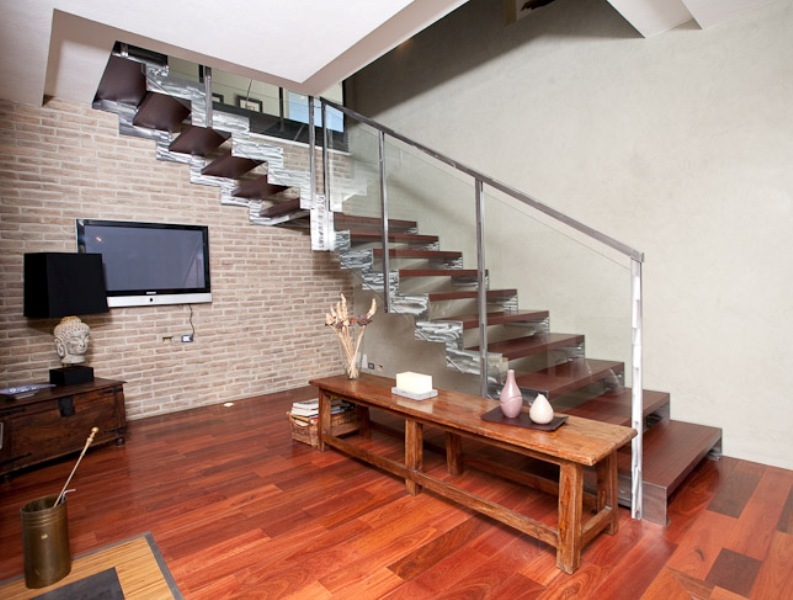 Iroko solid wood tread , doussié finish. 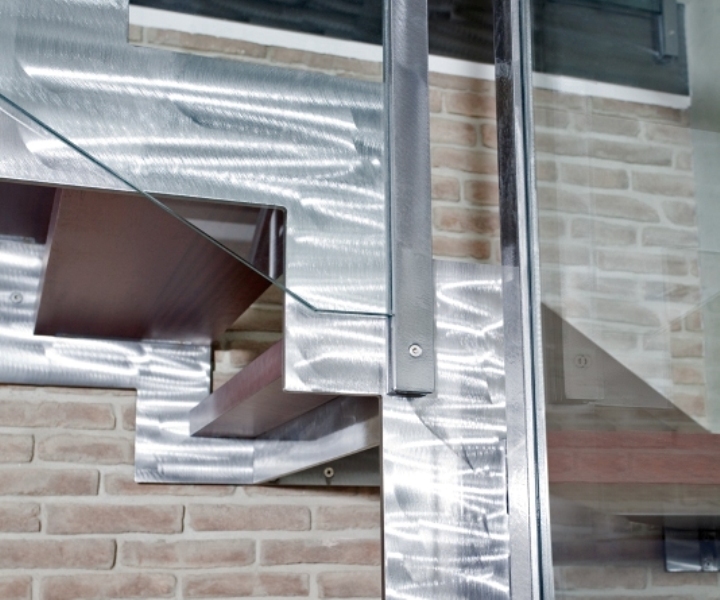 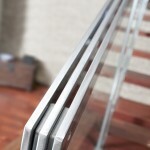 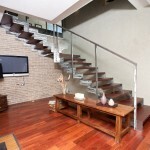 Q30 INOX CRYSTAL banister: layered tempered glass panels with 4+4-mm. 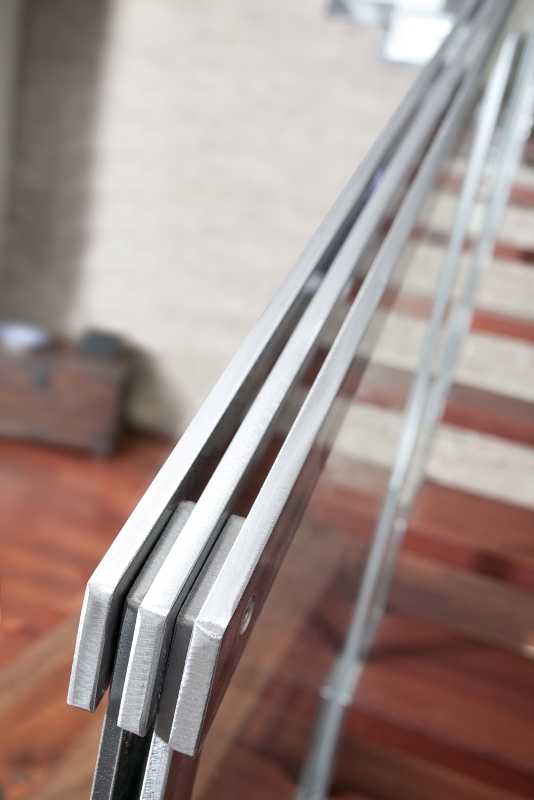 thickness, transparent extra-light finish, handrail with steel triple plate treated with frosting, spindles with frosted double plate.